Prepare the dough on Saturday evening for baking on Sunday morning. Add flour in a bowl. Dissolve the yeast into the cold buttermilk and add the salt to it. Add the buttermilk to the flour and knead a dough. You may add a little more buttermilk if needed to get the right consistency. 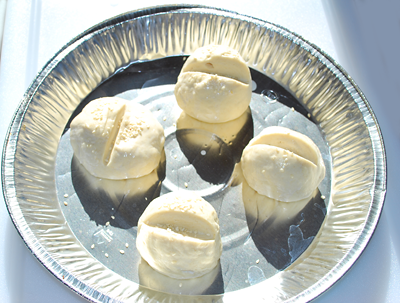 Shape the dough into a ball, put it inside a plastic or glass container with a lid that is a bit bigger (the dough will rise) and keep in the fridge overnight. 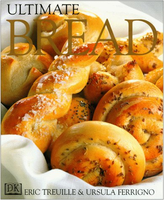 On Sunday morning preheat the oven to 395º F.
Knead the dough and shape into 4 rolls. Put the rolls on a tray with baking paper. With a sharp knife cut a slash on each roll. Put a bowl (heat resistance) of hot water in the oven, bake them for 30 min on the middle rack.